GENUINE SPA PARTS & ACCESSORIES! For Hot Spring, Tiger River, Hot Spot, Limelight & Solana! We have all the right sizes and shapes for your make and model. All filters are not created equal! Our factory original replacement filters are designed specifically for Hot Spring. Since Hot Spring spas filter 100% of the water before it travels through the jets, their custom made filters play a key part in their "hydraulically balanced" hot tubs. The materials that go into making these new replacement pillows will sustain them for years of abusive humidity. Our genuine Hot Springs hot tub factory replacement pillows are made to fit your spa model regardless of age and we have every color of every Hot Spring spa pillows that were ever made. The E5 was originally introduced in March of 2008 and followed by a few "fine tuning" revisions since then. The compact size and flexible positioning (can mount vertically on the sidewall of the equipment compartment), smaller footprint and greater efficiency has won it favor with Hot Spring dealers worldwide as the premier factory upgrade/replacement for all previous styles of single speed and two speed circ pumps in all Hot Spring and Tiger River spa models. 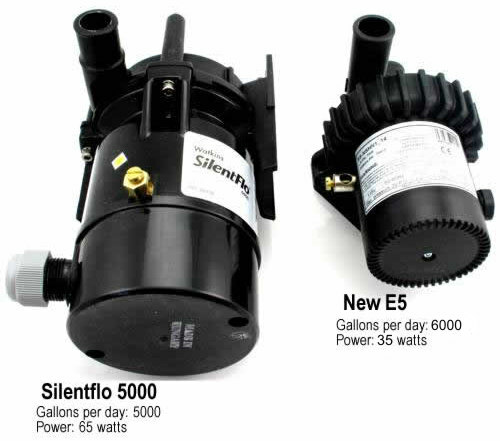 Watkins factory replacement jet pumps are hydraulically and electrically modified swimming pool pumps. Watkins specifies modifications for their Hot Spring spa pumps to accommodate the plumbing configurations, voltage and amperage draw of each of their spa models. You can be sure that a Watkins replacement pump won't harm your spa's plumbing (too much back pressure creates internal leaks) or over draw power (toast your spa's control circuits). Balance is good! Have your ozone bubbles stopped bubbling? Need to replace your old Freshwater® II (2) Ozonator? Plumbing stuff includes Hot Spring hot tubs air intake valves (Comfort Controls) and levers, air check valves that you can see dangling from high in the equipment compartment, Hot Spring air control levers and dials, diverter valves, diverter valve handles and levers (Smart Jet Selector), seal kits for all the diverter valves (Smart Valves 4-position diverters, 2-position diverter valves and Hot Spring check valves just to name a few. We also carry all the air and water Hot Springs manifolds, flexible pvc, plumbing schematic diagrams that give a basic idea as to how plumbing was planned out in various models of the Hot Springs, Tiger River River hot tubs, Hot Spot hot tubs, Solana and Limelight spa models. The plumbing schematics are a general layout but not a perfect or definite identification of exactly where plumbing or fittings may be found buried in the foam insulation.Contact us for a diagram. Replacement factory redwood slats (skirting) made by the craftsman at Watkins Manufacturing in one of the most sophisticated, state of the art wood detail facilities. Our kiln dried, vertical grain clear redwood insures the highest quality for the look and longevity expected in Hot Springs spa products. IQ2000 & IQ2020: "The brains"
I just moved and I think I have a Hot Spring spa...what now? How do I reset my Hot Spring? How can I get an owner's manual for my Hot Spring, Tiger River, Hot Spot or Solana spa?